This is no attempt to list the “best five pilots of all time,” as there are many thousands of pilots I have not seen (yet!) but I felt like a list was called for. Perhaps it will change in time… who knows. In no particular order, these are my five favorite pilots. The pilot was also a Christmas special. What’s not to love? Having never seen the Tracy Ullman Show, I at this point only knew the yellow-skinned quintet as “the Butterfinger family.” Their commercials were funny, so why not check out their holiday antics? Over 20 years later, the pilot, “Simpsons Roasting on an Open Fire,” still holds up. There was something a little looser, a little wackier about the Simpsons in those days, in the animation, the voices, and the story lines. You can make a drinking game out of the continuity problems. But what better setting in which to teach us all we need to know about a TV family than their Christmas holidays, split between a school recital, a shopping mall, and a dog track? Priceless. This was show that you HAD to keep watching. Not so much these days, but that pilot was so, just, wow. Peter was immediately endearing, and you’re thinking he might just not be crazy in wondering if he can fly. And Claire throws herself off that railroad trellis. And Hiro is so darned determined to be a super hero. Oh, and I guess the Jessica/Niki eye candy didn’t hurt either if you happened to be male. You were like “where is this thing going?” We had seen super hero shows before, but not like this. On a side note, the actual pilot, which was screened at ComicCon and is availble on DVD, is not as good. Ted was a terrorist. Much too low-hanging fruit for such a creative show. See my previous entry on why this rocks. Okay, I know you’re like, “really?” The show, despite running for 10 years, went steadily downhill, either on its own or by comparison to other emerging animated entertainment that has raised the bar considerably. But it was fresh and unique. I can remember sitting around at school the day after the pilot aired and talking about it, so it obviously made an impression on people. It wasn’t the Simpsons, and it certainly wasn’t Beavis and Butthead, Mike Judge’s previous show. It walked a line between edgy and family friendly. 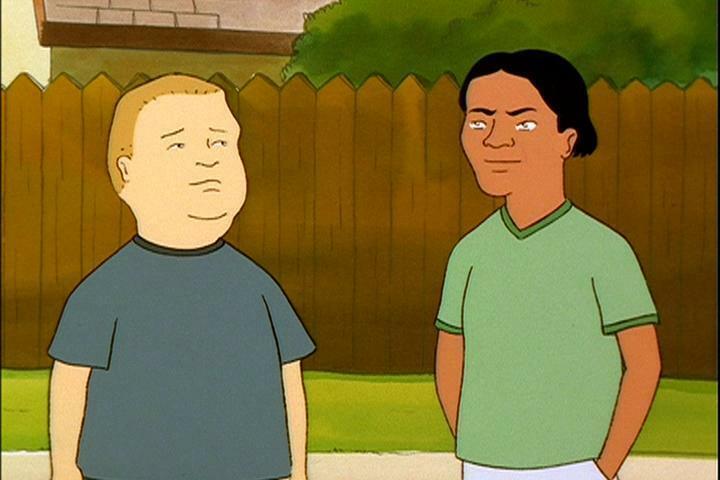 That moment when Joseph appears on screen and you see he looks nothing like his white father and a lot like his mother’s Native American “friend” is ROTFL-funny. I laughed. I cried. It was better than Cats—way better; Cats is lame. This is musical theatre for the 21st century. While I can just picture the starry-eyed teenagers at home shrieking over Finn, or wanting to sing just like Rachel, for us grown-ups, there’s the Emma-Will-Terri love triangle. (And isn’t it weird how there are three former Heroes cast members in this completely different show?) The pilot did a great job of capturing the whole mood of this show and now, having seen the five additional episodes to have aired, it was right on track. It had the snark of Veronica Mars, the pathos of My So-Called Life, and the embarrassing-to-watch moments of The Office. It’s a feel-good show, but it’s not sappy. Okay, it’s sappy. But not in a Cats way. More in a Wicked way. This entry was posted in 1990s, 2000s, About Pilots and tagged best pilots, favorite pilots, glee, heroes, king of the hill, simpsons, studio 60 on the sunset strip, top 5 by meekthegeek. Bookmark the permalink.